China has made great advancements in future weapons systems, many of which suggest that the Asian giant is planning a lethal battle against its adversaries, especially when it comes to space denial and disabling or destroying satellites. From directed energy weapons (DEW) to electromagnetic pulses (EMP) and mobile pulse generators, China has a plethora of options to choose from, most of which are difficult to get information on. ThePrint takes an exclusive look at these systems through open source satellite imagery to understand the advances made by China. In terms of satellite tracking, Chinese technology has grown in leaps and bounds. 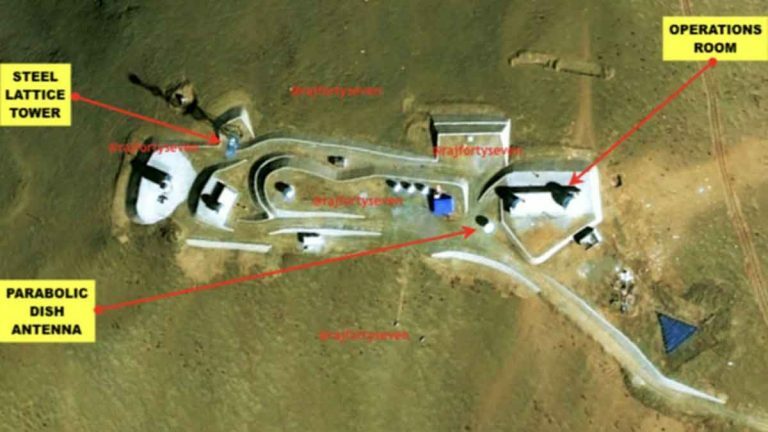 There are now many space tracking stations dotted all over the country — like one in Ngari, Tibet — which provide accurate data about satellites to be targeted. Once the accurate satellite path and other data is known, directed energy weapons (DEW) located at five different places can take over the task. 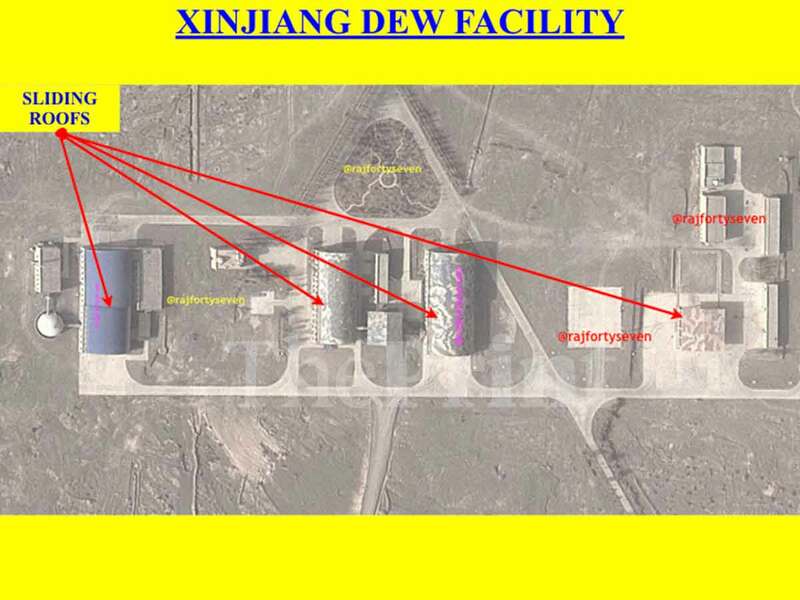 One such facility is located in Xinjiang. The facility features four main buildings with sliding roofs. Three of these sheds are connected with two vacuum spheres. The shape and size indicate that possibly chemical lasers are being used with rare earth metals like neodymium. It is theorised that the equipment under smaller sliding shed is used for tracking, while the other three are used individually or in conjunction with each other, depending on the effect desired on the target satellite — it can be dazzled, disabled or destroyed by high energy lasers from these ground-located DEWs. 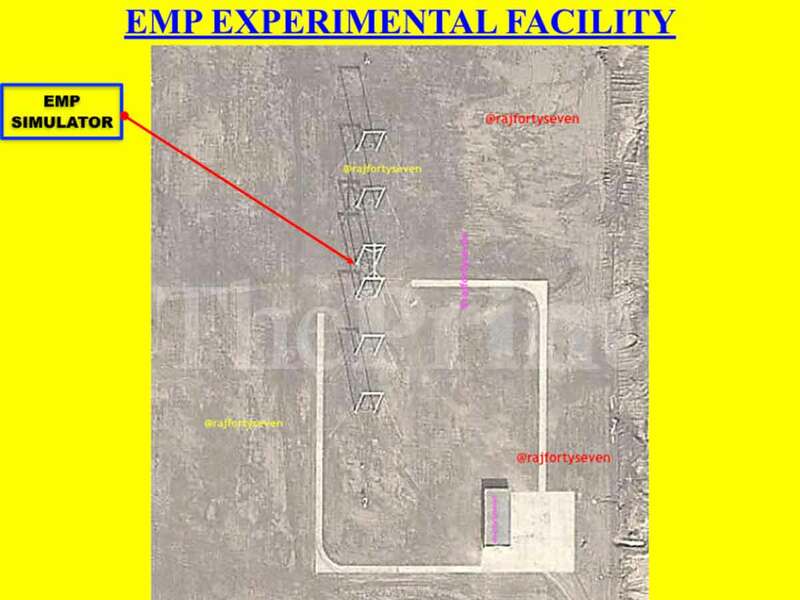 China has been observed undertaking some field experiments on EMPs deep in the mountains of Xinjiang. 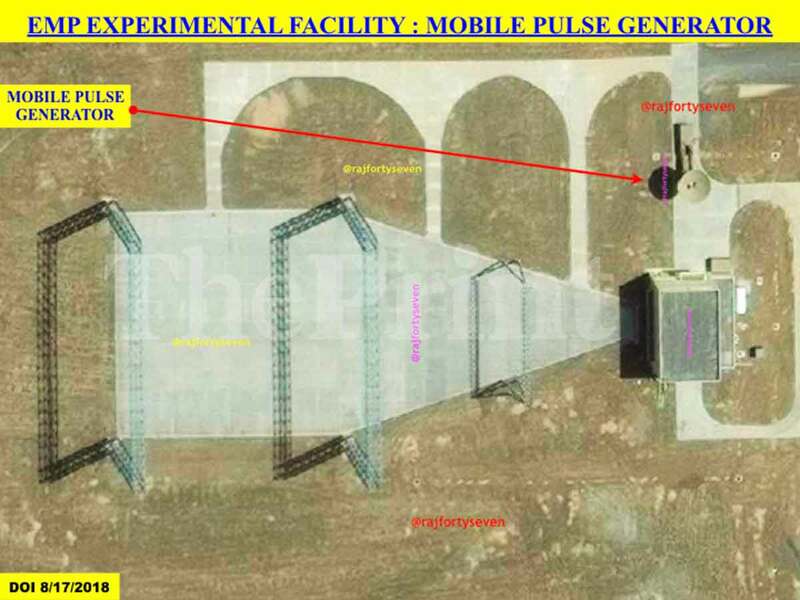 The test location shows an EMP generator hanging on multiple bar poles — similar to structures observed at Naval Air Station Pax River in Maryland, USA. A road leads in and out under the cylindrical EMP generator for equipment and vehicles to be placed exactly under the generator. This facility is used for researching methods of hardening Chinese military equipment and reverse effects on adversaries’ equipment using electronic components. Another facility in the vast arid land of Xinjiang is also seen experimenting on mobile pulse generators. These types of non-nuclear pulse generators are used for creating electromagnetic interferences that can disable satellites in a very short span of time.